It's not often that I get super personal on this blog...besides sharing pictures of my precious niece, or highlights from our weekend trips, it's usually parties, food and prettiness. But since I've been working on a big overhaul of myself, I wanted to keep you all in the loop. Plus give myself some accountability...which is slightly scary! Going into this new year, I have plenty of goals. Honestly it's overwhelming to think about them all. But here's the one I'm focusing on the most. Without going into explicit detail... Over the past few years, I've truly discovered my love for cooking, baking, cheese, wine and all things decadent. As one would expect, my body has well...how should we put it...responded accordingly. Just FYI - I'm not the mom in Gilbert Grape who needed to be cut out of her house. But I'm not "happy" with my 5'2 frame right now, and I haven't been for awhile. Besides that, as much as I love bad-for- you, processed food, I heart farmers markets and the whole local food movement. Maybe it's turning 30 this year (shudder), but living a healthier, more balanced life is becoming very important to me. After all, I want to have the energy to conquer my crazy life and its sometimes crazy hours, and be the best wife, daughter, friend, event planner, fundraiser/marketing person I can be. It's hard to give your all if you're not at your healthiest, so that's what I'm going for. Am I still going to enjoy a piece of to-go wedding cake at 1 a.m. after I busted my arse all day making sure every detail was taken care of? No doubt. Am I going to have cheese plates and red wine with my girlfriends? If not, life would be pretty sad. This a big deal because I'm not really a runner. I played soccer ages 5 through 18, but I always hated running, and frankly...I'm slow and have a funny looking run. Seriously, I hold my arms weird. But I needed a goal, and honestly, I needed some variation at the gym besides the elliptical machine. Plus, I think runners are cool. So even though I always thought I couldn't be a runner, maybe that's not true! Maybe I could be a runner? So I signed up for the race with some girls, bought myself the fancy new kicks and started training. It's interval walk/run training; it's not hard, but I've been enjoying it. I'm not just saying that, I really have been enjoying it. Will I be able to run 3.1 miles in March? I don't know. But I'm damn sure going to try. So, to sum it up...is my goal to look like this? My goal is more about feeling better about myself, taking better care of myself and completing a goal that I NEVER thought I could do. And always making sure I can fit in the red wine, cheese and pasta when I can. So, that's a little insight into my life right now. I hope you weren't creeped out or bored. 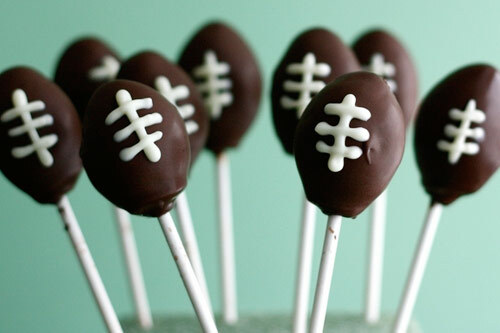 Back to my regularly scheduled yummy food and party inspiration pics after this. I'll update you after my 5k! And if anyone has advice about running for a "beginner," I'd love to hear it. Hope everyone has a happy week! 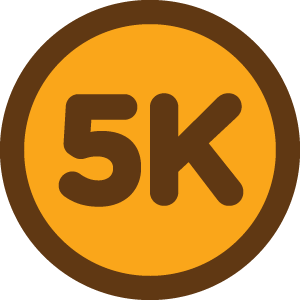 I know you're going to ROCK that 5k. Couldn't be prouder of you, sister. I will run with you, and then eat yummy food ANY day of the week! Love you! You go girl! I think runners are cool to LOL I wish I had a group of girls to train with...sounds fun. GOOD LUCK and keep us filled in! This is awesome. You have the perfect mindset and are definitely creating that balance you were looking for. Good luck! I think that's such a great rule to live by! 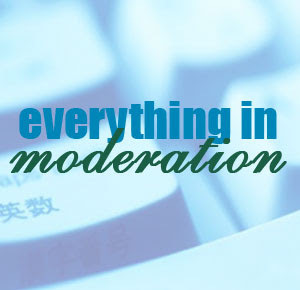 Moderation! And still being able to enjoy the good things in life. Sorry it took me so long to respond to this post. Getting fit can be so difficult. Just be sure to take your time training for that 5k. I did that a couple years ago, and it was a lot of work and a lot of fun! Yea girl! Good luck with your 5k!! I really believe you can find a healthy balanced lifestyle that includes wine, cheese, exercise and green stuff! And I think it's great that you're sharing this with your blog readers... I know a lot of people will relate to what you're saying, too.